Today was the day book lovers all over the country have been waiting for. This is our Oscars: The American Library Association's Youth Media Awards, which include the prestigious Newbery and Caldecott awards. The awards were livestreamed on ALA's website and I was so excited to get to watch the results unfold with all the people in attendance today. It was a day of emotional reactions, both joyous and disappointing, but I absolutely loved being able to experience them happen in real time. I was also saddened that my other favorite book of 2012 came up empty of any awards today, Wonder by RJ Palacio. But my sadness was soon overshadowed by joy when the Newbery award was announced: The One and Only Ivan by Katherine Applegate. To know how many #NerdyBookClub members absolutely adored this book, with our friend Colby Sharp leading the charge, it's no wonder I screamed when the winner was announced, and then the tears started flowing. And to know that the real Ivan died the year this book was published, it makes this tribute to him all the sweeter. I still get teary-eyed thinking about it. To give you an idea of how much Colby has been leading the campaign for The One and Only Ivan to win the Newbery, the first person I tweeted right after the announcement was Colby. The second person I tweeted was Katherine Applegate. 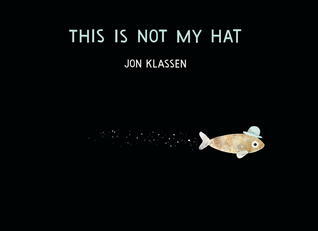 As a cherry on top of this wonderful day, another #NerdyBookClub favorite won the Caldecott award: This is Not My Hat by Jon Klassen. I only just read this book over the weekend (I've had it on hold forever) and I have to say, I loved it more than I Want My Hat Back. But that's probably because I Want My Hat Back was not a book that I warmed up to immediately. It's one I had to think about and share with students before I realized just how brilliant it is. Despite my relief and happiness that my school had a snow day today, I am a little sad that I wasn't able to share watching the announcement of the awards with my class. 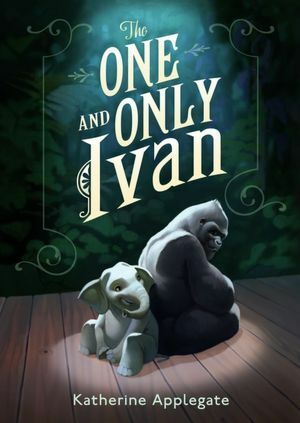 The One and Only Ivan was our first read aloud of the year so I know my students would have been elated to experience hearing it be announced as the Newbery winner. At the very least, we have lots to talk about and celebrate tomorrow. I didn't realize how much fun watching the awards would be! 2012 definitely was a great year for books. So many outstanding titles, there were bound to be disappointments!